The last four months I have spent in the Hubert H. Humphrey Fellowship Program has been a journey of discovery. The Humphrey Seminar has not only opened my eyes to the many facets of leadership but also taught me that successful leaders come in all shapes and sizes. And that no two workplaces, situations, crises, or scenarios are the same, and no two leaders are the quite same. My leadership style draws on own personality, core values and personal vision. 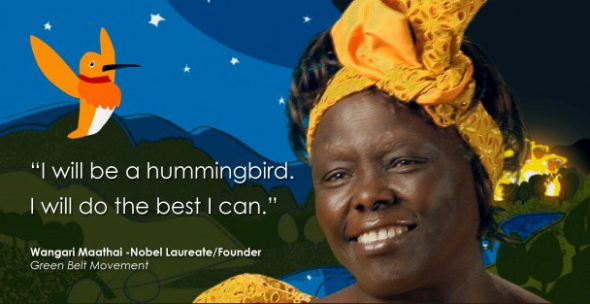 Great leaders such as Angela Merkel, Nelson Mandela, Wangari Maathai, Mohandas Gandhi, Bernie Sanders, Mother Theresa, Malala Yousafzai and Dalai Lama discussed extensively in class have provided excellent examples for reflection on what leadership is all about. Through reading books, watching films, discussing in class and listening to guest speakers from outside has exposed me to variety of leadership styles. From the experiences of Sir Ernest Henry Shackleton, the polar explorer who led three British expeditions to the Antarctic, I learned many lessons in tenacity, heroism and fortitude in the face of appalling hardships. From John F. Kennedy’s classic Profiles in Courage, I have been introduced to the concept of political courage which inspired a generation to accept responsibility for its government, and its world, by taking political and social action. As president, he was crusader for social justice and a gifted orator who inspired hope in the future and confidence in government. 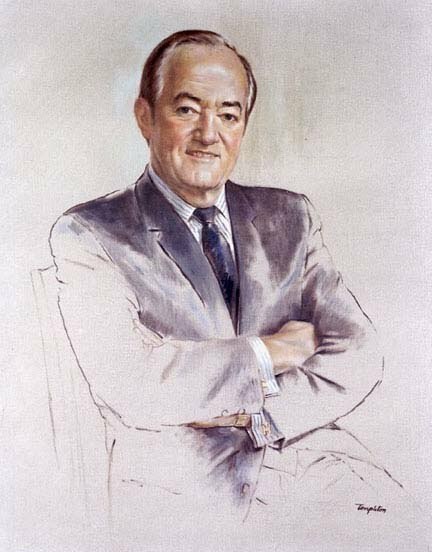 Hubert H. Humphrey’s is another remarkable leader whose life was dedicated to advancing basic human and civil rights, equality, social justice, international cooperation, understanding and peace. Through exposure to many of these leaders, certain admirable traits, competencies, abilities, and experiences become evident. These include doing the right thing, sacrifice, service to others, personal standards of ethics, compromise need not mean cowardice and servant leadership. Other exemplary qualities exhibited include courage, honesty, integrity, clearly and succinct communication of a vision and using creativity and intuition to navigate difficult and unpredictable situations. I have learned a great deal about elevator pitches, disruptive innovation, change management, servant leadership, visionary and transformative leadership. Change leadership: Be more of a change catalyst, a champion of change. Learn to implement and sustain change. Coaching: Shift leadership style from directing and telling to guiding and developing my direct reports. Further, to implement my leadership style, fall back on my current and lacking leadership skills in four key areas, namely personal, interpersonal, group and technical skills. Personal Skills: Develop mindfulness and self-awareness, manage life-work balance and solve problems analytically and creatively. Interpersonal Skills: Coaching, counseling and supportive communication. Gain power and influence. Motivate others and manage conflict. Group skills: Empower others and delegate more. Build more effective teams. Manage change. Technical skills: Public speaking, making oral and written presentations, policy analysis, project management, language proficiency, people management skills, budgeting and use effective use digital tools for communication. As a reflect on my leadership style and plan, which is work in progress, the world calls for new generation of global leaders, who like Humphrey, will keep fighting for what they believe in, not for themselves but for all people, everywhere. It calls for individuals who believe that they can make a difference in improving other people’s lives and making a contribution to a more just, equitable and peaceful world. Written by: pnyonges on December 3, 2017. ← Can a book force one to think like a leader?